The concept underlying my current work has been in the making for some time. It started with an experiment using rusty metal, damp paper, bricks as weight and heat from the sun to make a rust print. And I was in love. Inspiration for me often comes just from working with materials and process. The works shown here are a visual and intellectual exploration of pairing and contrasting materials. Many blend an interest in the decayed industrial age and man-made objects with the abstract, as expressed through mark making, found objects, mixed media and encaustic—an ancient hot wax medium. As an artist, I keep coming back to working with hot wax because of the endless opportunities it offers. I often take my drawings, photographs, or whatever materials are at hand and embed them in encaustic. There is an atmospheric feel that comes from interleaving the different materials and a visual depth I find compelling. In some pieces, my work is more intuitive and free-flowing. In others, I return to a more formal organization that harkens back to my training in architectural illustration. I hope you will enter into a personal dialogue with each work and catch a glimpse of the world I see. 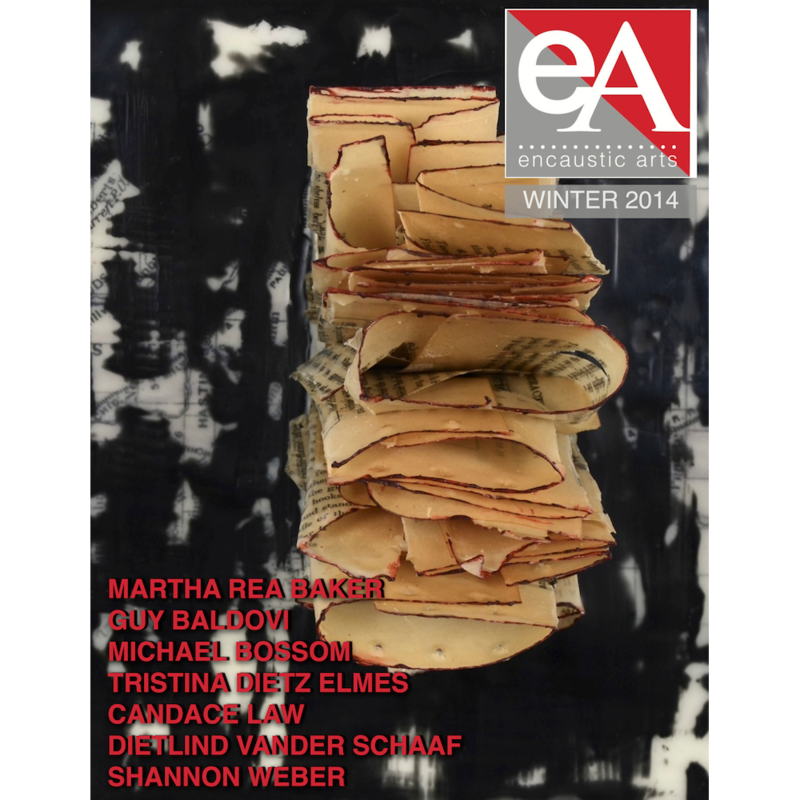 The Winter 2014 issue of Encaustic Arts Magazine featured an article about my encaustic mixed media work. Click on the image to read the article online.